Today’s episode is like a crystal ball glimpse into the future of banking, narrated by my guest, Anne Boden, the thoughtful and charismatic Founder and CEO of Starling Bank in the UK. Anne has years of experience at large banks, including in IT roles. At one of them, she led an effort to develop an innovation transformation. It brought her to a critical conclusion: that the only way to create a really innovative bank is to start “from scratch.” When the UK government in 2013 responded to the financial crisis with a new type of charter, Anne founded Starling. Starling was the first of what the UK calls “Challenger Banks,” designed to foster increased market competition. It is also a “digitally-native” bank, built as a fully digital business, for the digital age. Starling is mobile-only. It operates on open platform principles and leverages the new personal data rules in Europe. These say that financial data belongs to the consumer, not the bank, and require companies to implement the customer’s instructions to share account information with any entity the consumer chooses. Among other things, this makes bank accounts “portable,” and also give customers the right to terminate such arrangements and to control how the data can be used. Building on this is a new emerging business model that is, again, essentially a platform. In Starling’s case, they take deposits and do payments, and then they operate what they call a “marketplace” with specialized partners that offer their customers everything from mortgages to insurance, to an array of financial management tools. One result is efficiency. Anne says 100 or 150 people can do work that needs 10,000 at a large bank. Anne also notes that the as the platform model disaggregates traditional functions, the front end of the chain -- the customer relationship and interface -- might separate off and end up in the hands of Google, Facebook or Twitter. Our conversation included her insights on how this new model will evolve; the roles of each partner; why Starling chose to become a bank instead of offering a prepaid card; and how hard it is to do that -- the high attrition rate among those that attempt it. Starling customers (who, by the way, are not just millennials) have a new kind of financial life. They can simply ask Starling, by voice, whether they can afford to buy a car. They can opt to have bank statements itemize by a given shop, right down to the cheese sandwich and the diet coke. Anne says they could add calorie counts to that and can integrate it with health information from the fitness app, and suddenly, money, lifestyle, and health are integrating in new ways. Recently recognized as one of the Global Power Women in FinTech, Anne’s worked at a senior leadership level across some of the world’s best-known financial heavyweights, among them Lloyds and Royal Bank of Scotland. It was during her tenure as CEO of Allied Irish Banks, however, that she began to explore the exciting potential of financial technology for transforming customer’s everyday lives. 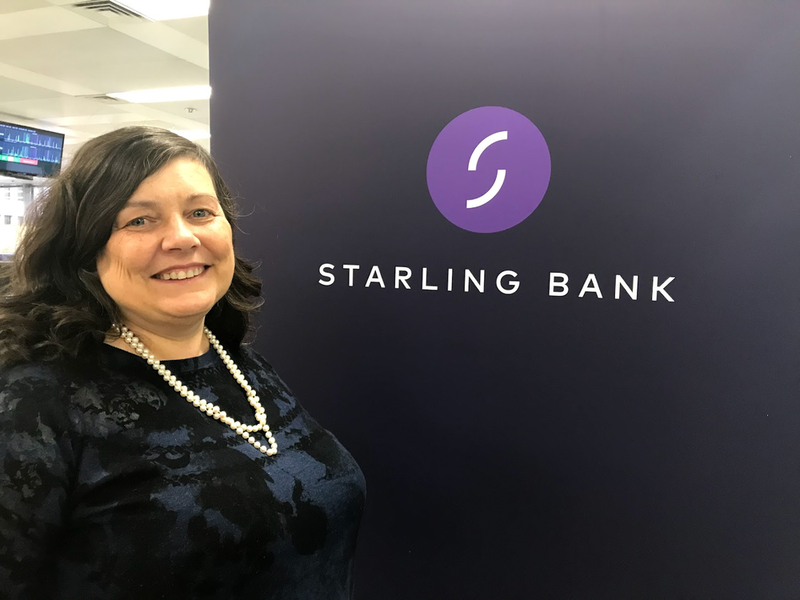 At heart a tech startup with a banking license, Starling is a challenger bank built on a foundation of disruptive emerging technology, competing with traditional legacy banks and helping people develop a healthier relationship with their money. Upcoming shows will include Cross River Bank CEO Gilles Gade; Michael Wiegand, who heads the Gates Foundation’s work on financial services for the poor; NerdWallet CEO Tim Chen; and the CEO’s of two community banks -- Eastern Bank and Radius bank. And there’s much more in the pipeline!.